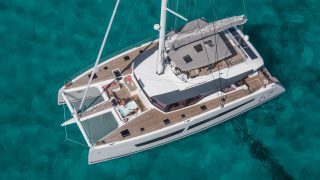 As the jewel in the crown of Fountaine Pajot’s exclusive Flagship range, the Alegria 67 redefines luxury cruising. 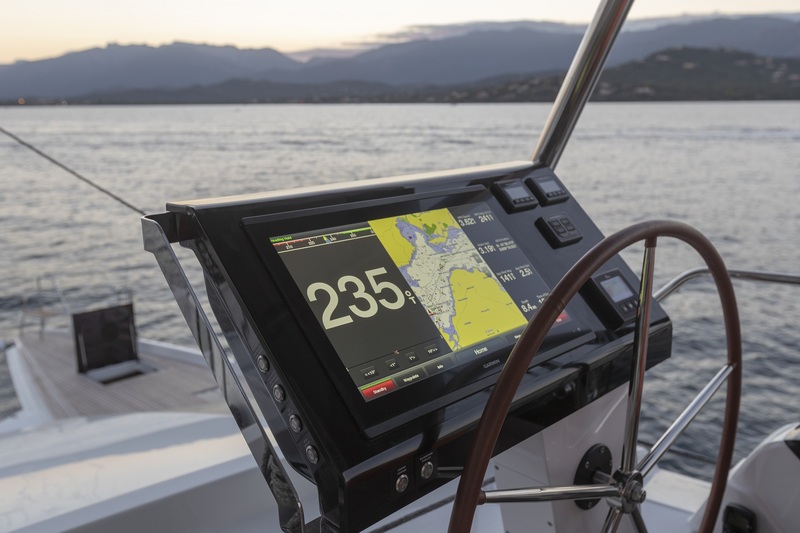 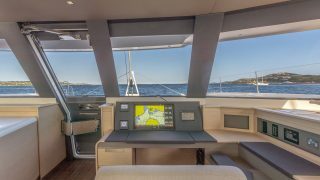 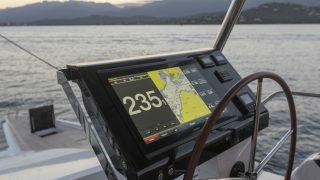 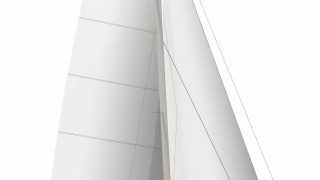 Designed to deliver outstanding performance at sea, the new Alegria 67 is the remarkable culmination of the shipyard’s technological advances and innovative concepts, specifically designed for optimal safety and offshore performance. 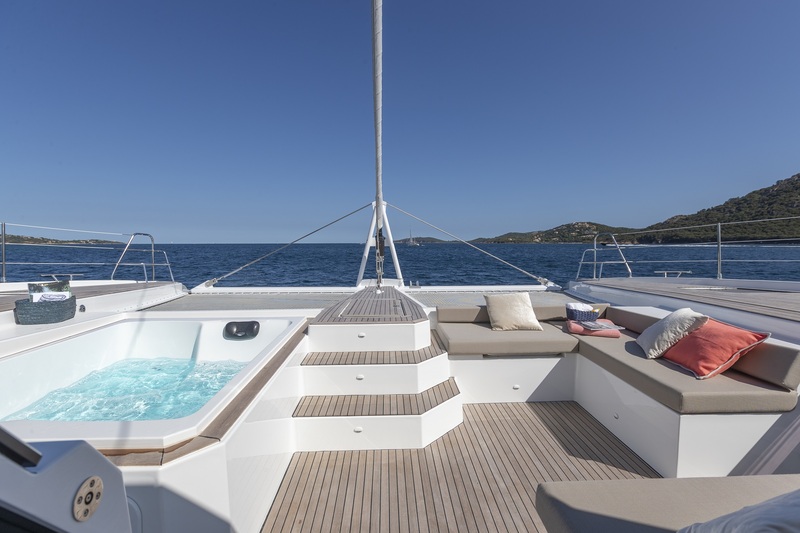 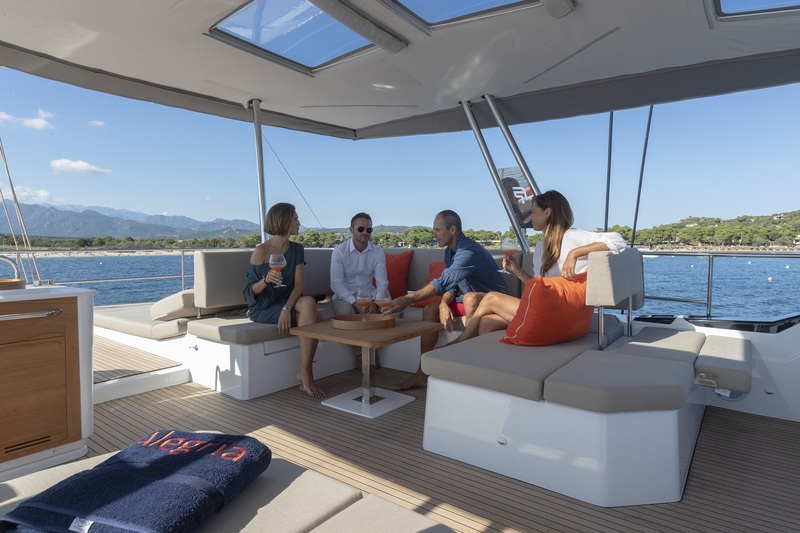 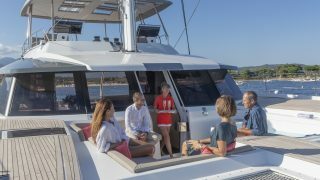 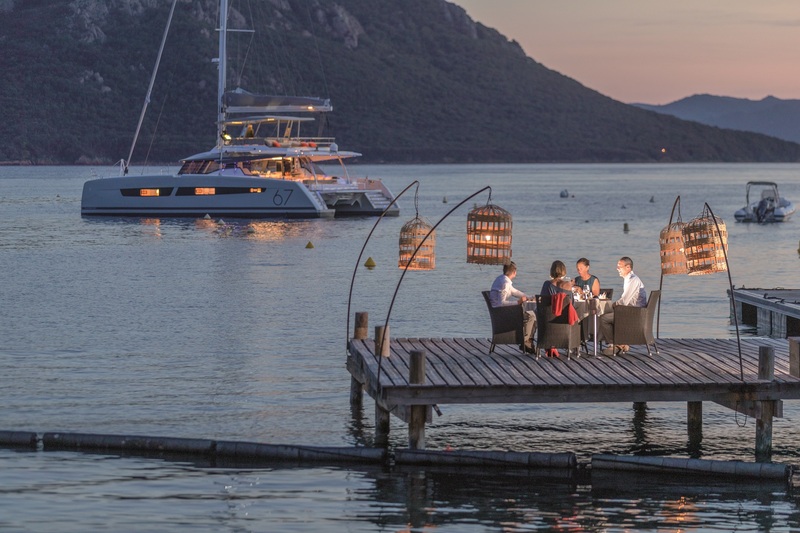 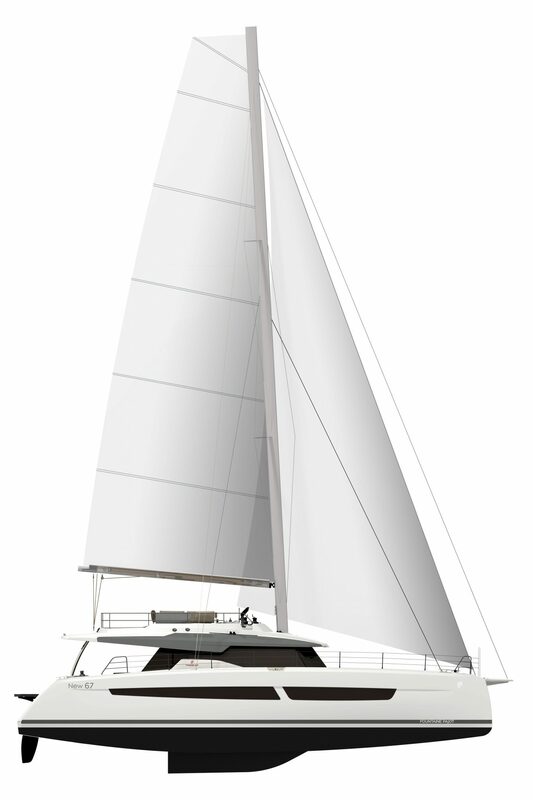 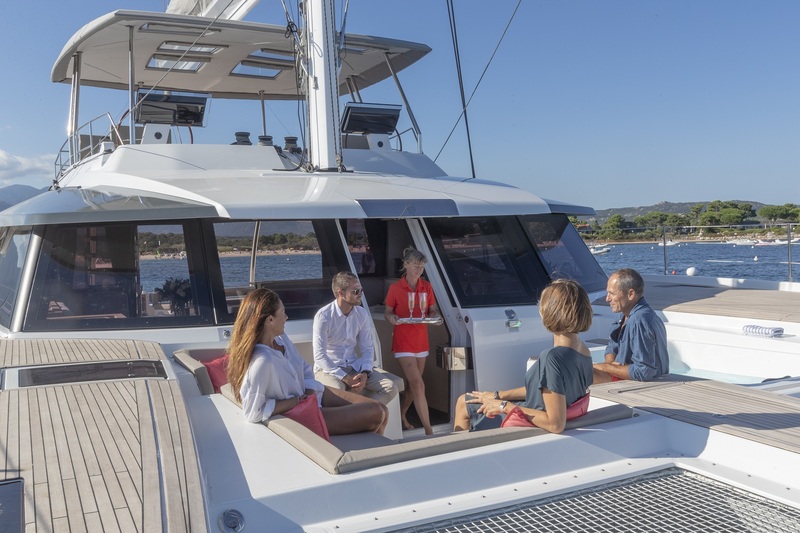 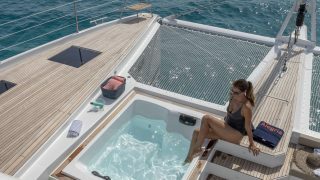 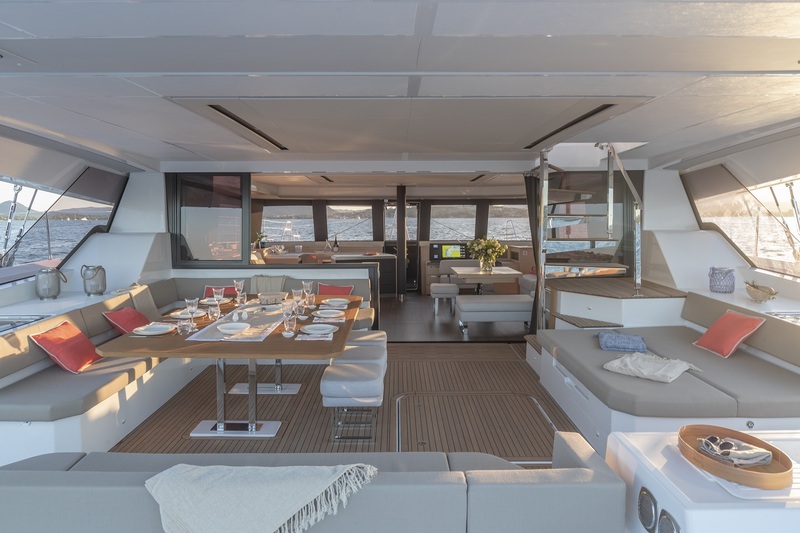 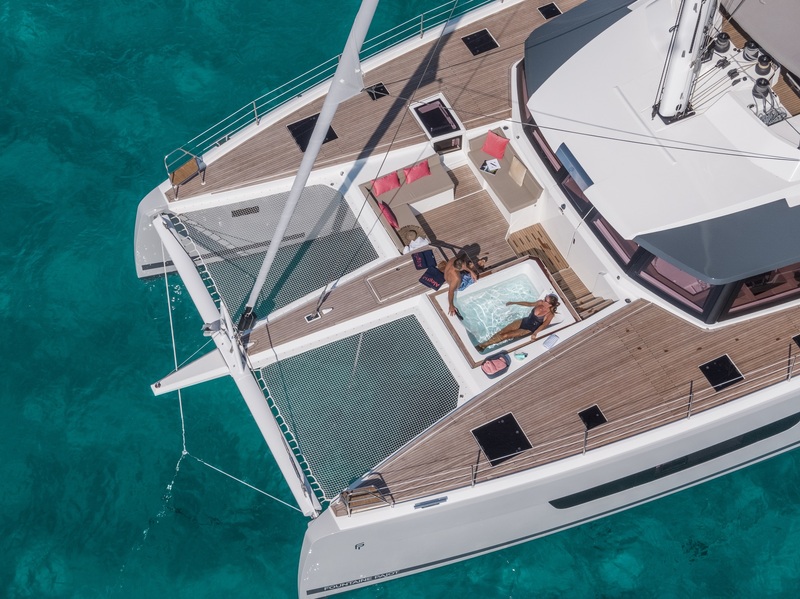 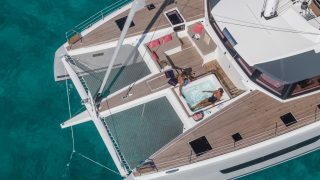 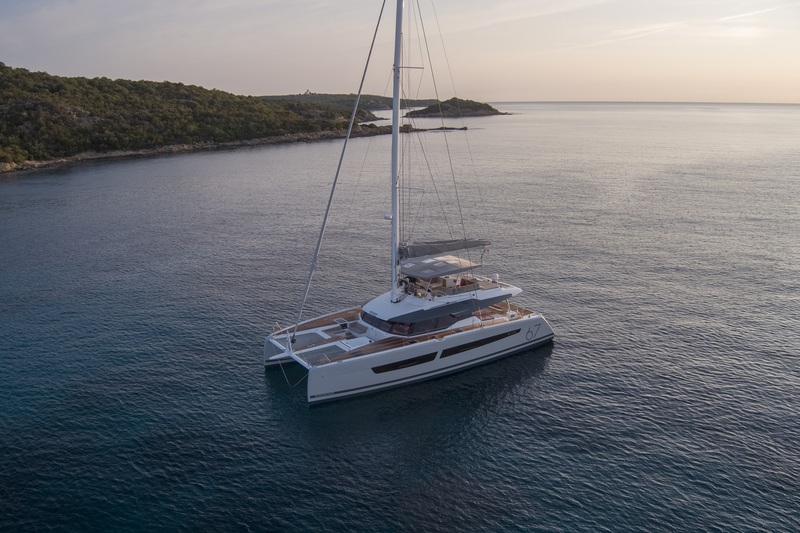 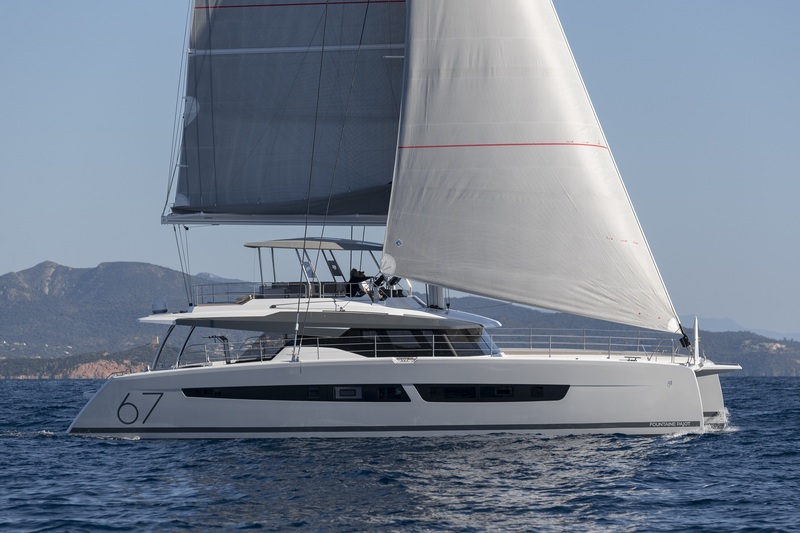 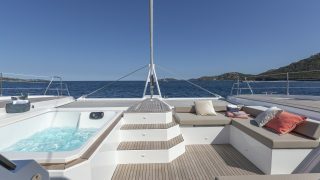 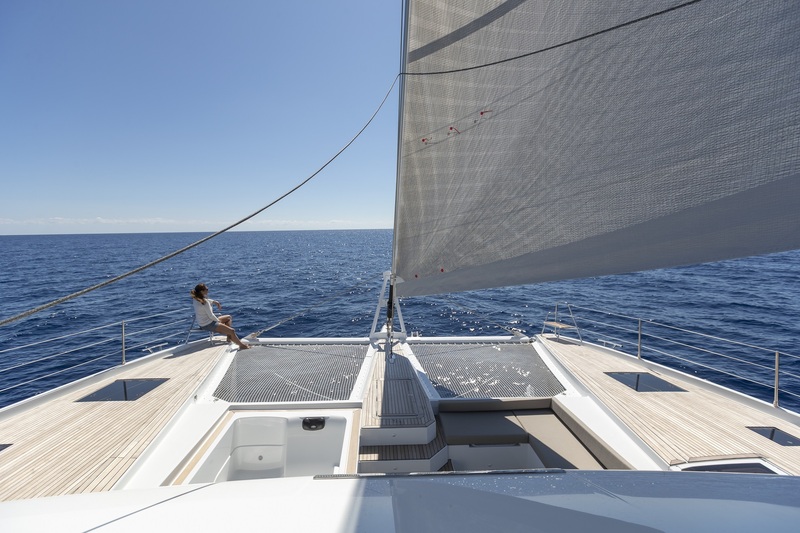 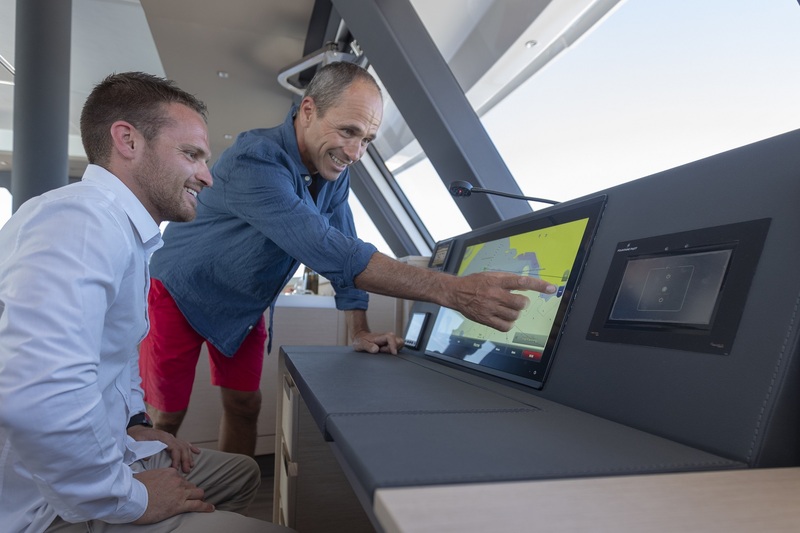 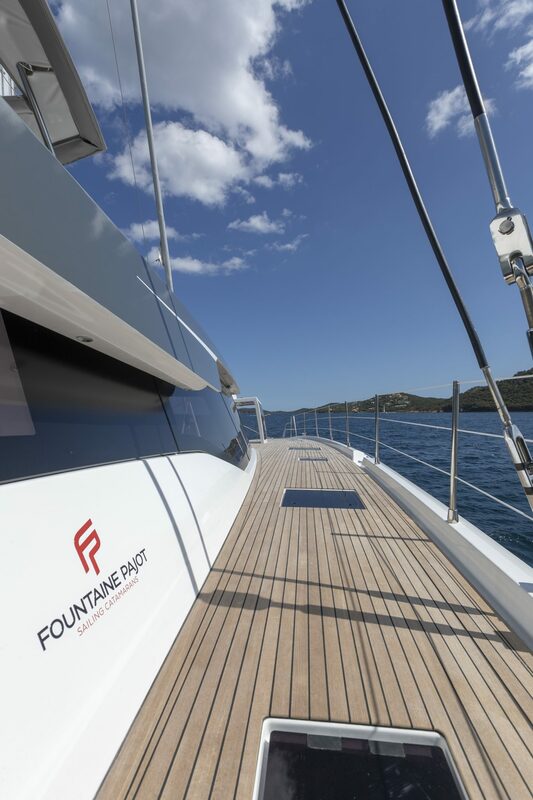 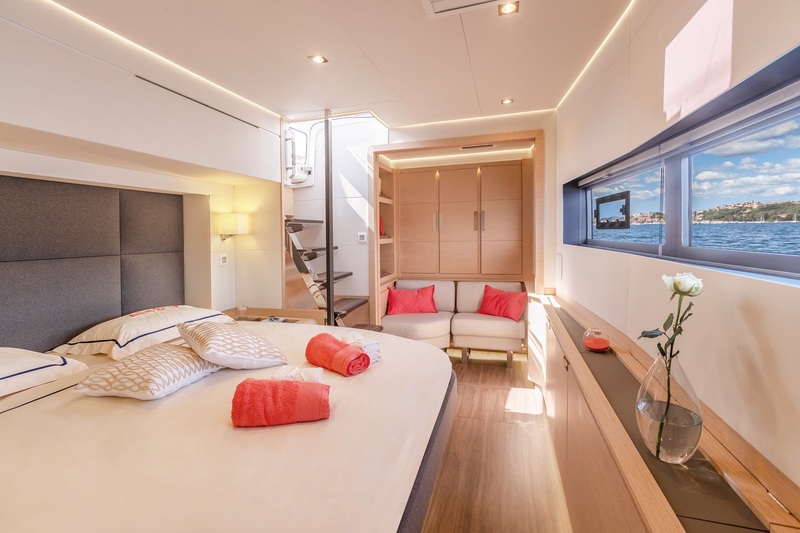 The internationally acclaimed naval architecture partnership of Berret Racoupeau designed the catamaran with no compromises on comfort or volume and have delivered generous living areas and a stunning contemporary design aesthetic. 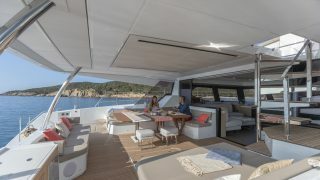 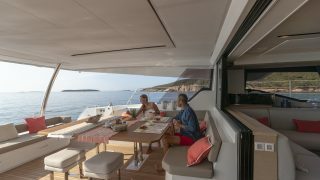 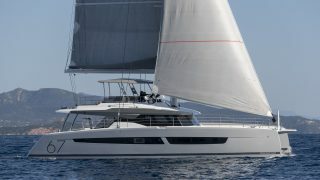 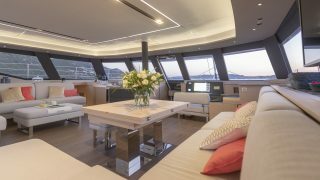 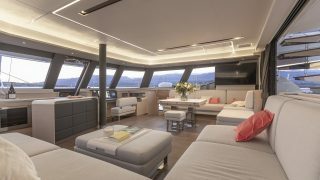 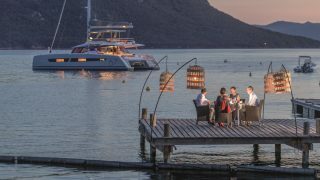 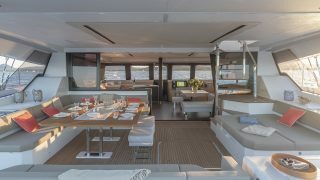 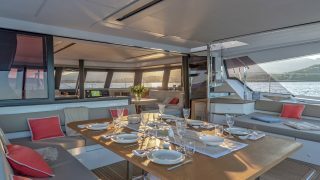 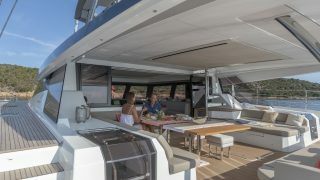 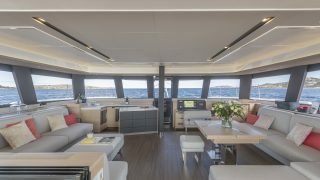 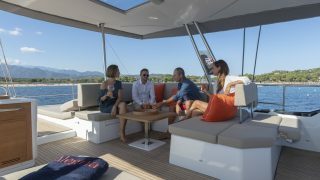 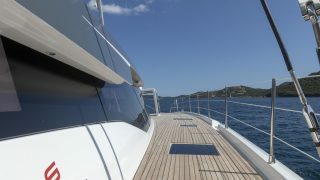 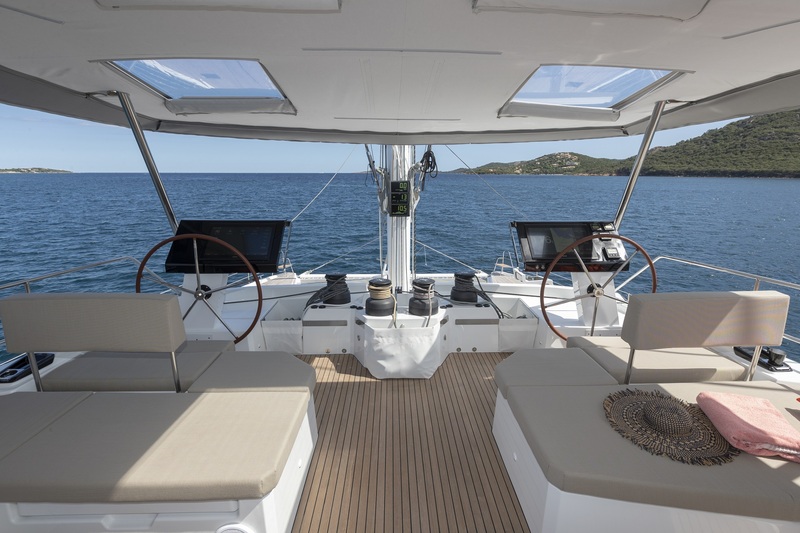 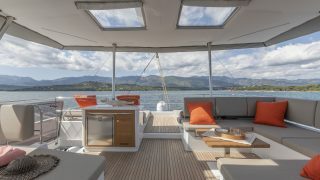 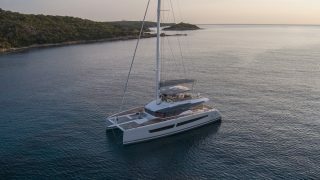 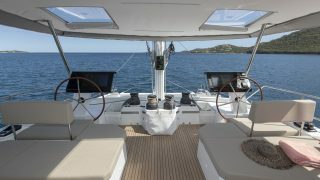 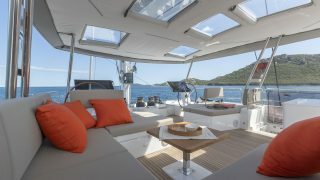 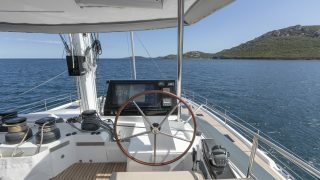 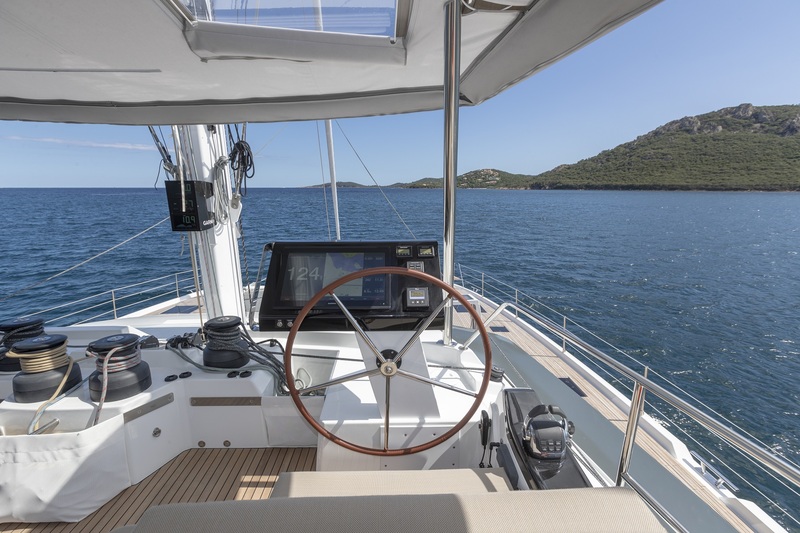 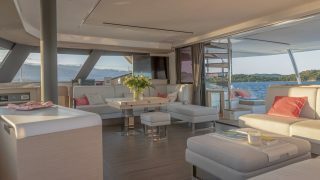 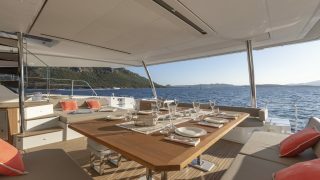 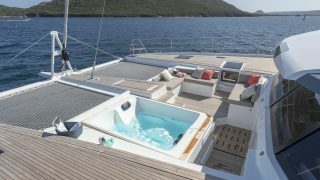 The catamaran has an exceptionally spacious Lounge Deck easily accessible from both sides of the cockpit and fitted with a decadent lounge setting and day beds located aft of the twin steering stations. 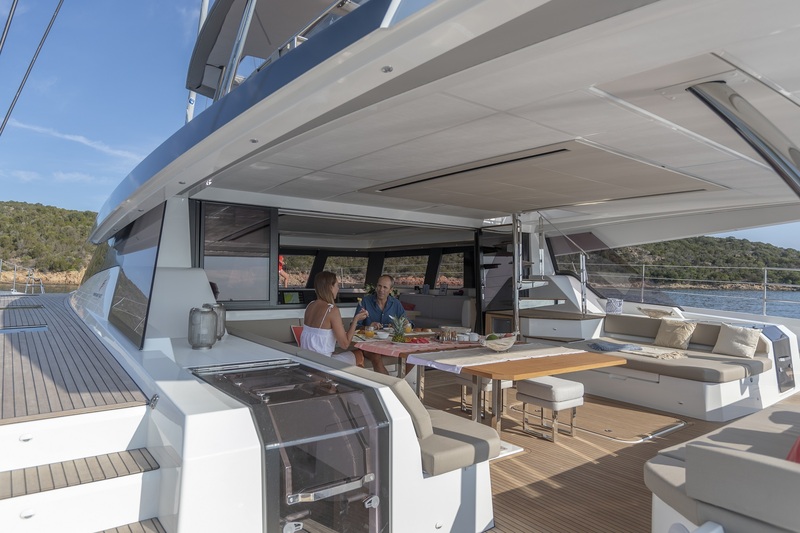 The innovative design revolutionises the traditional flybridge concept and emphasises the shipyard’s philosophy of sharing the cruising experience. 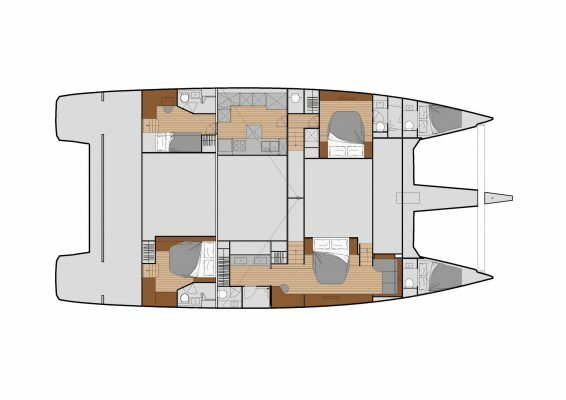 Similarly, the main cockpit has been designed for large groups with a dining table to accommodate up to 12 guests, while the forward cockpit has additional lounges and the option of an integrated spa. 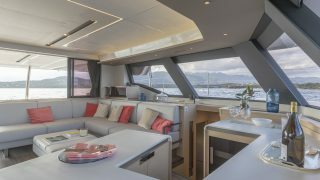 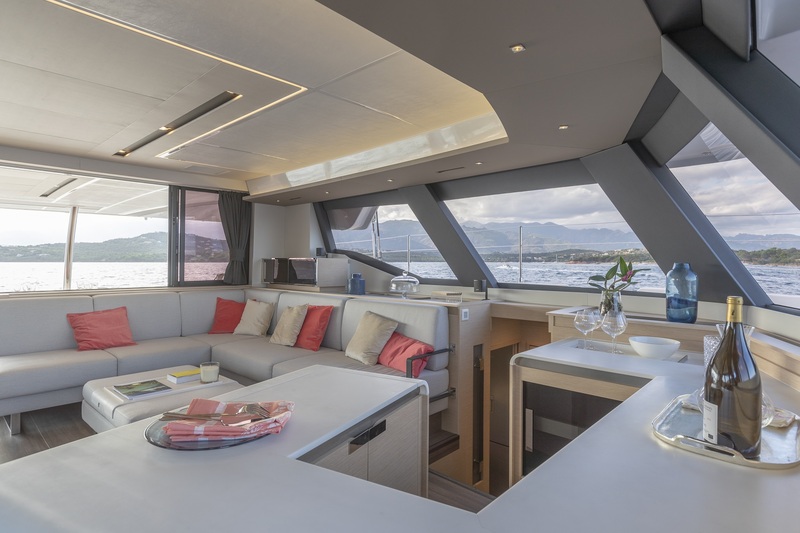 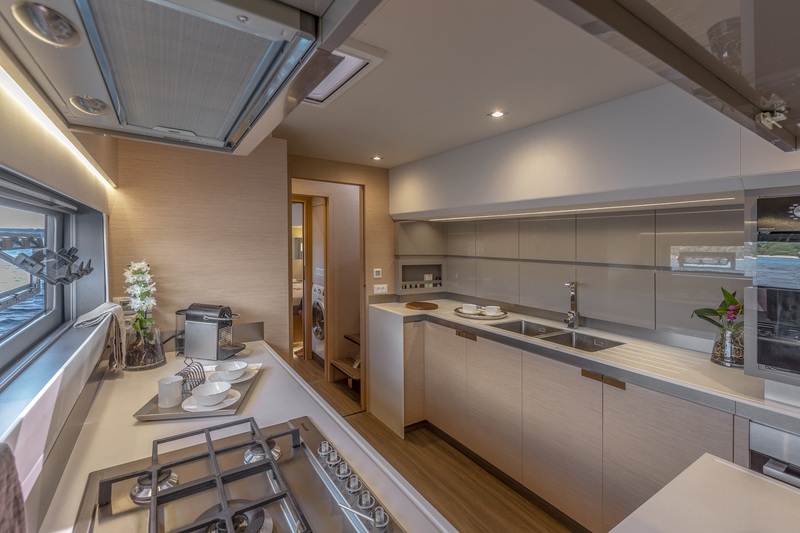 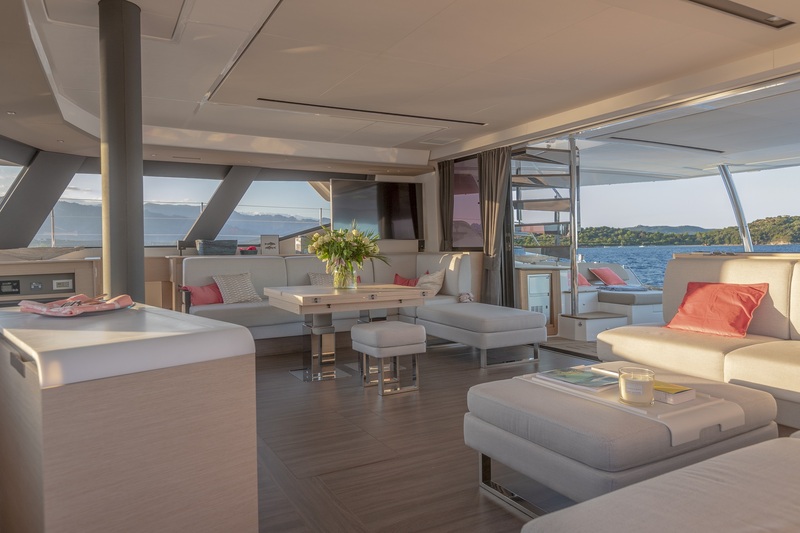 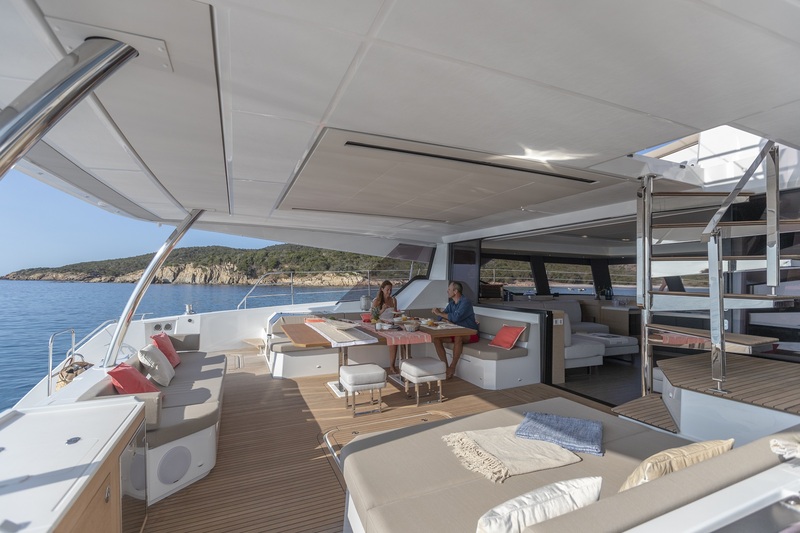 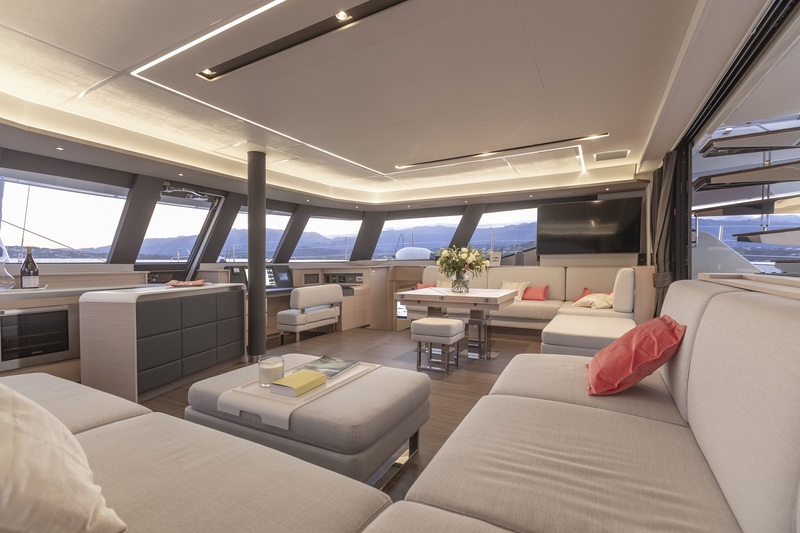 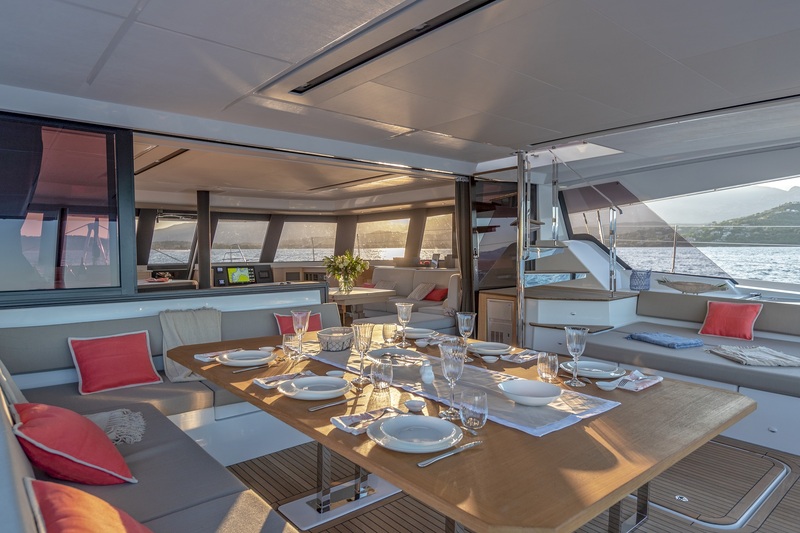 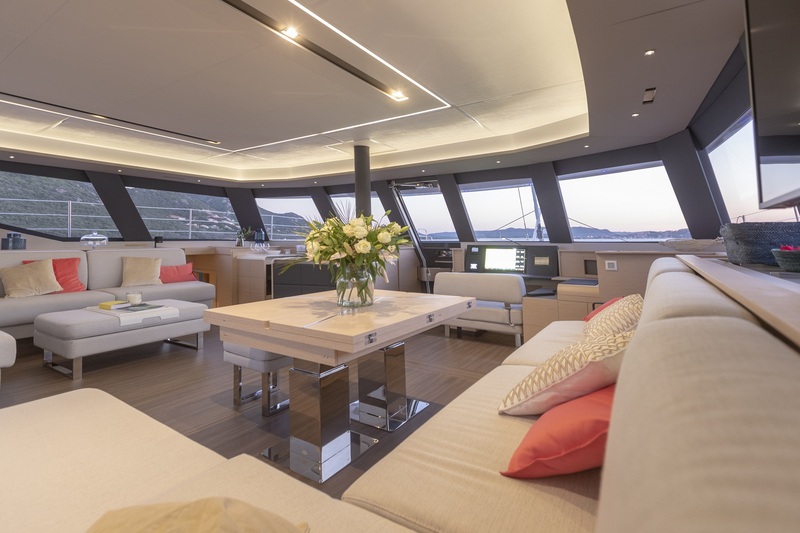 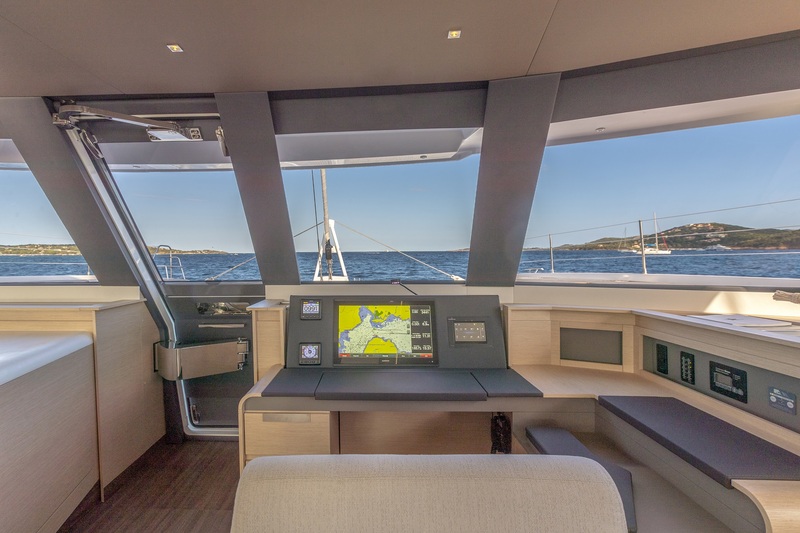 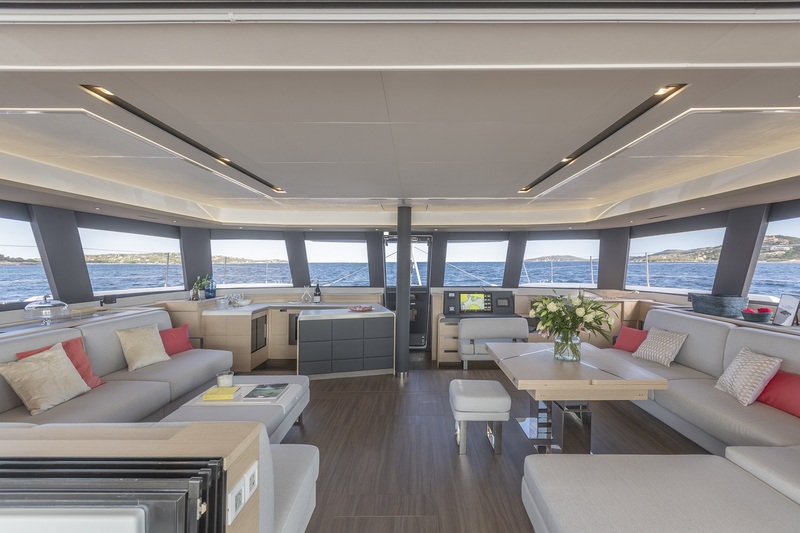 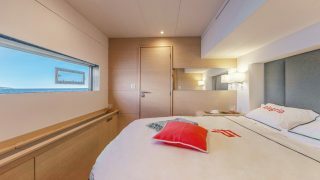 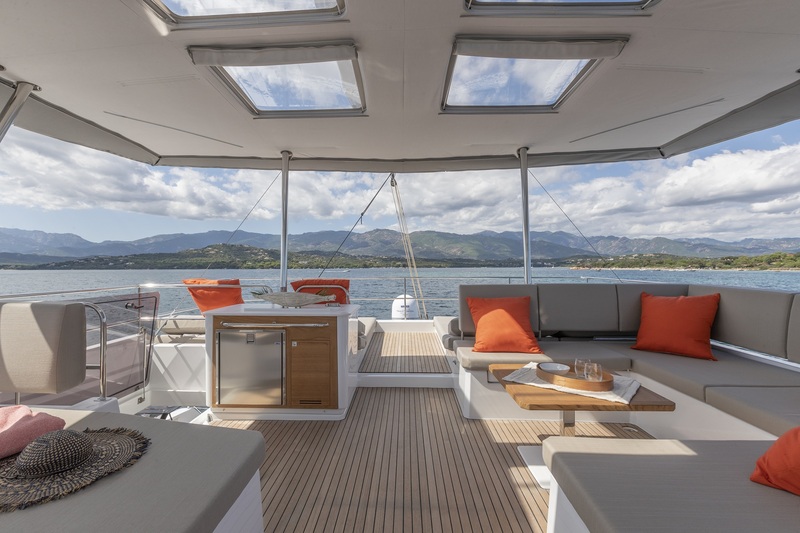 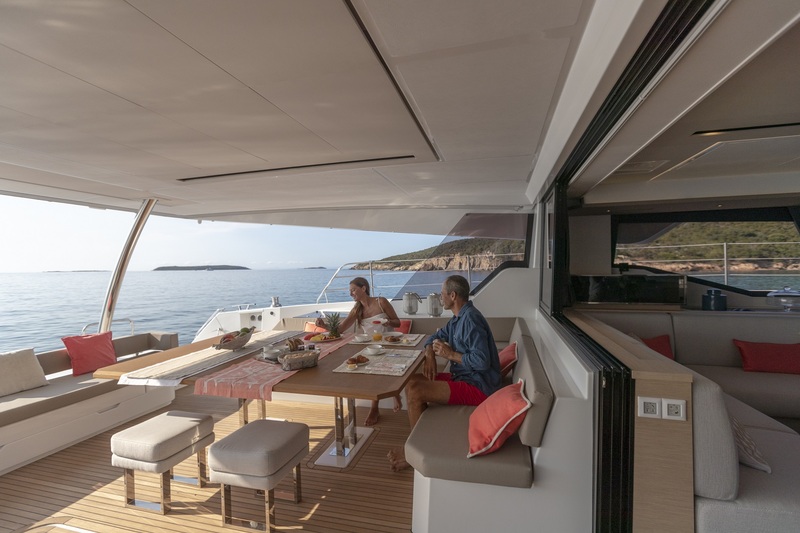 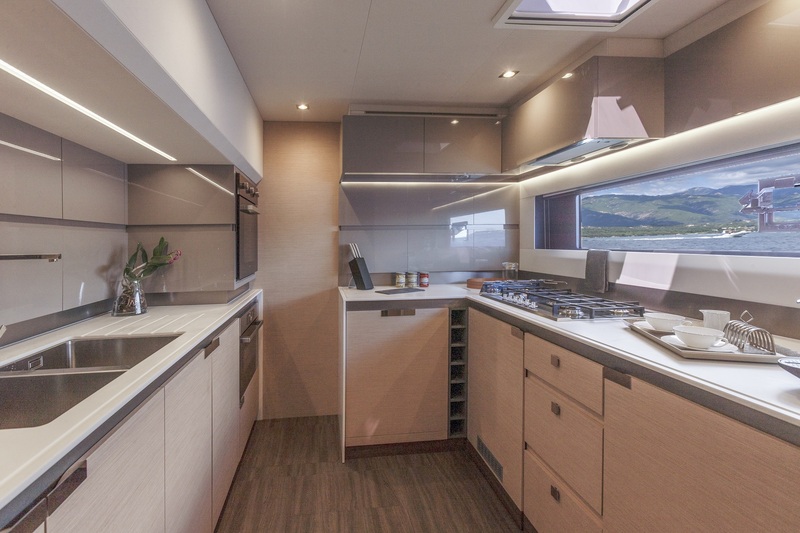 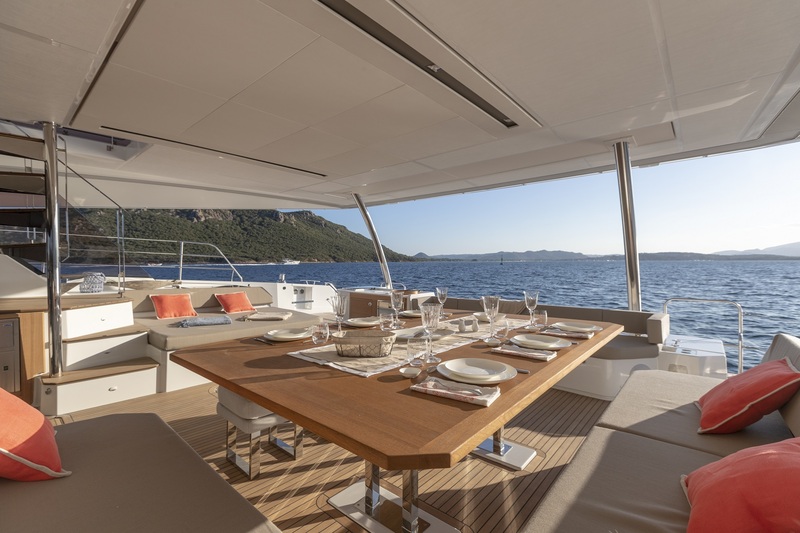 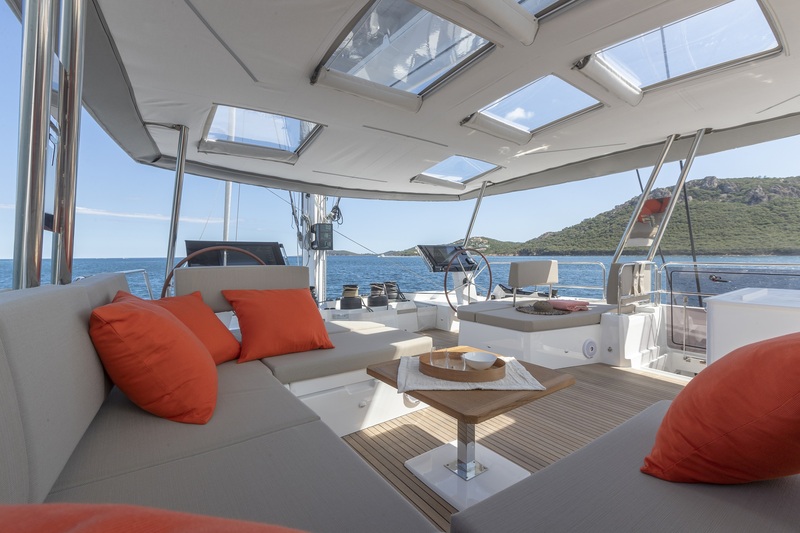 The catamaran’s breathtaking interior features a soft and elegant aesthetic with muted contemporary tones, superior quality finishes and expansive windows to enhance the natural light throughout the catamaran. 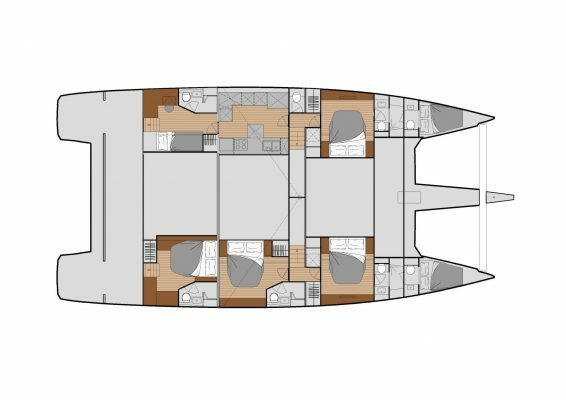 Available in a variety of layouts, the Alegria 67 is ideal for luxurious private cruising or exclusive charter operations. 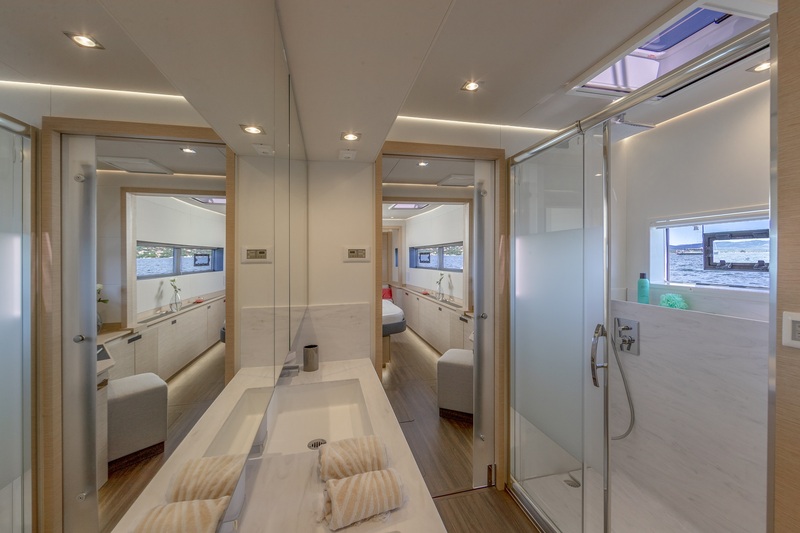 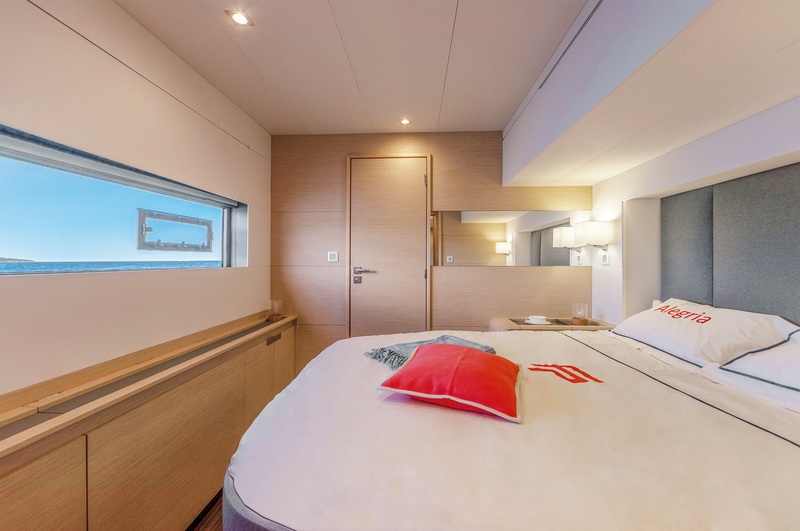 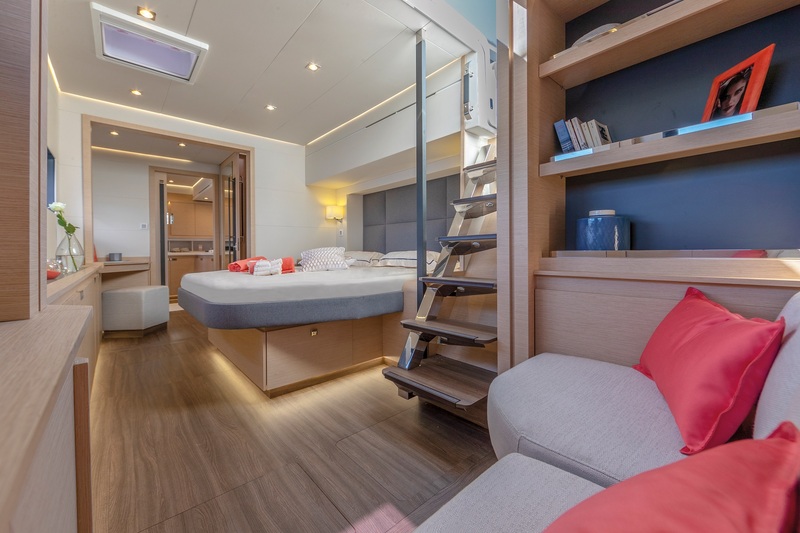 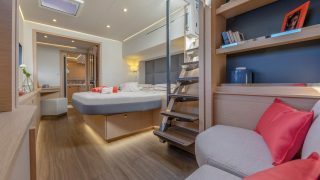 The Maestro version features an exquisite master suite that shatters all benchmarks set by other catamarans in her class with its unprecedented space, beautiful ensuite and stunning luminosity. 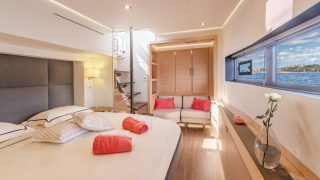 Each of the four double guest cabins in this version is also surprisingly large with island beds, private ensuites and abundance of storage. 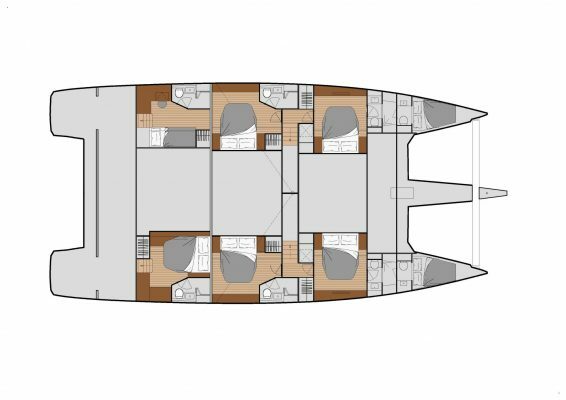 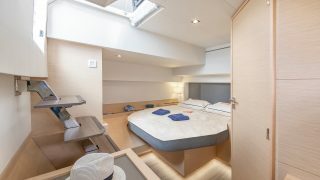 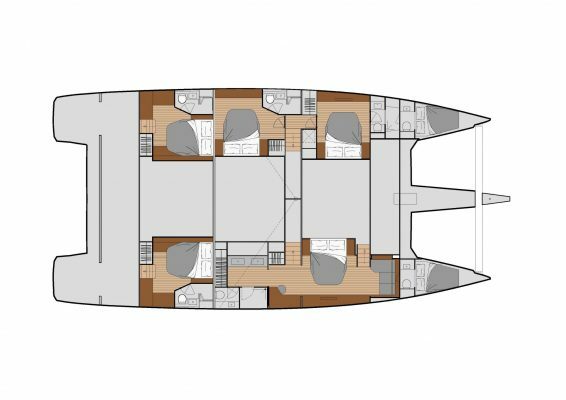 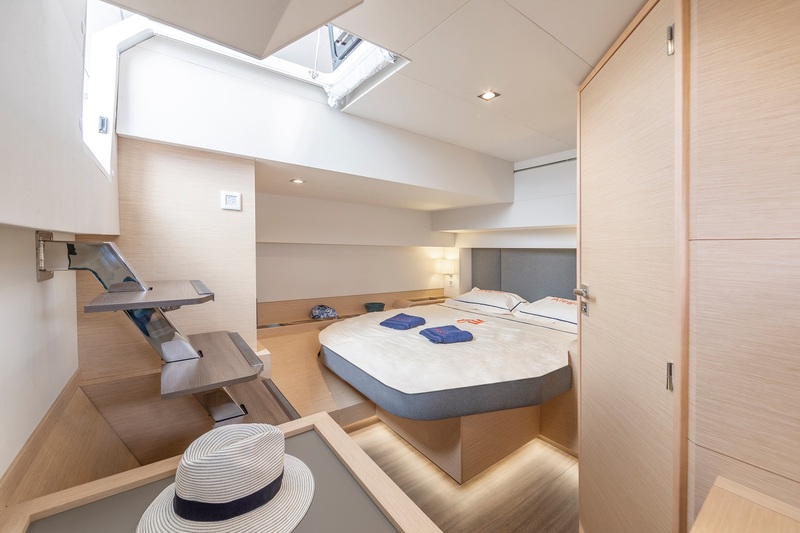 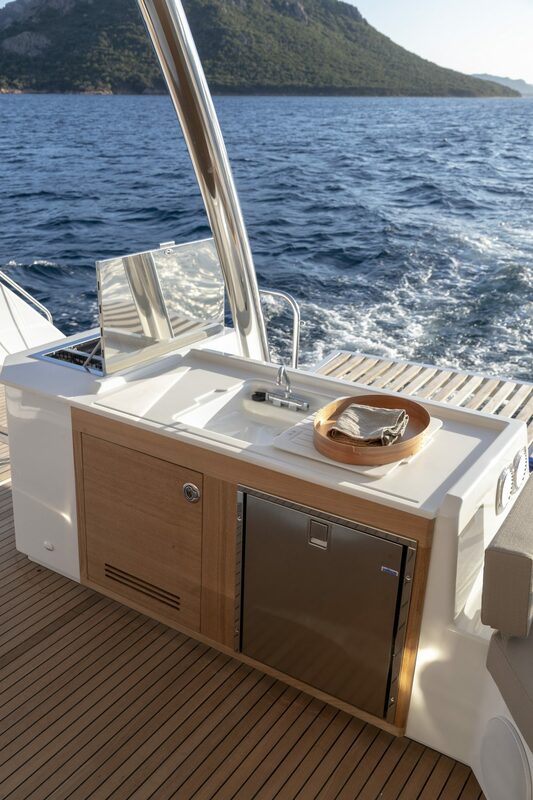 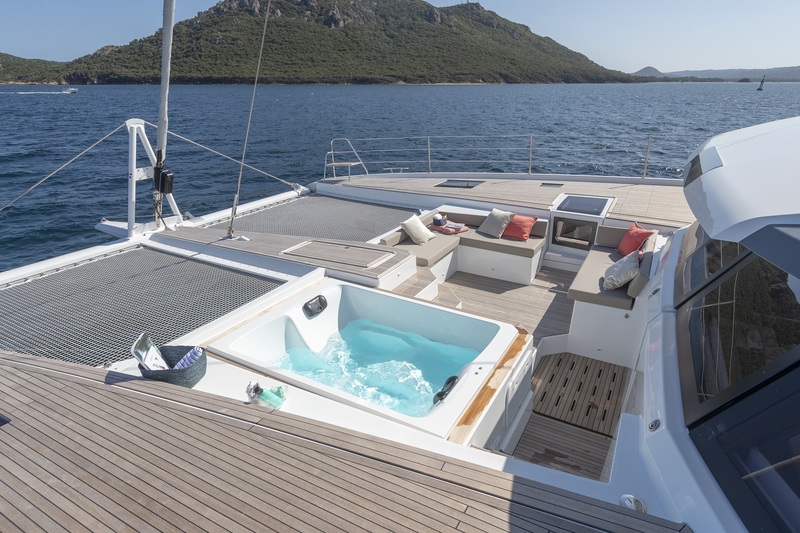 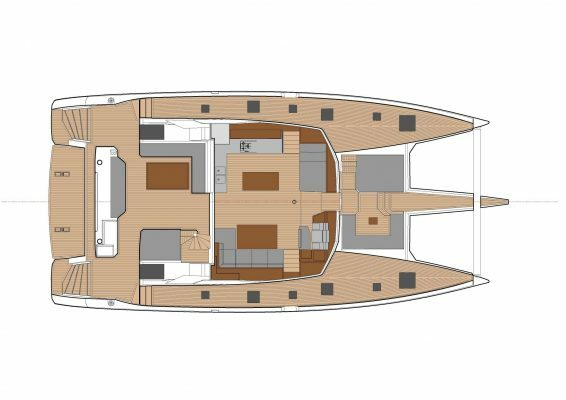 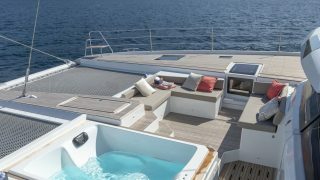 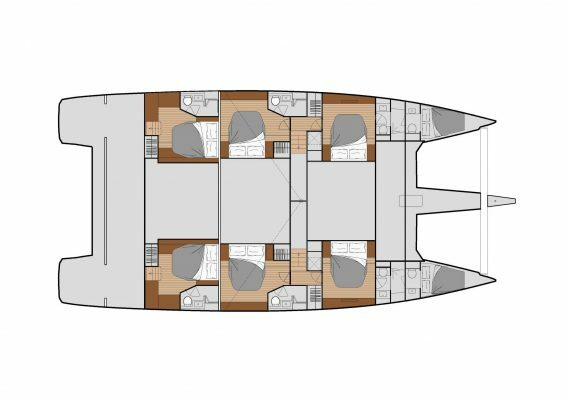 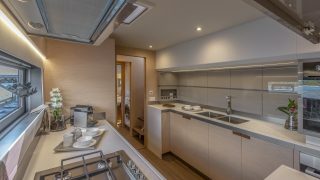 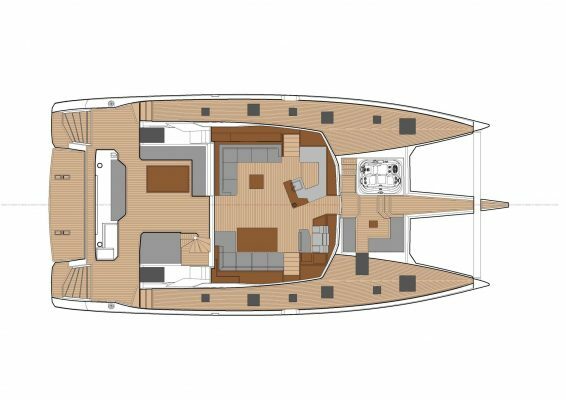 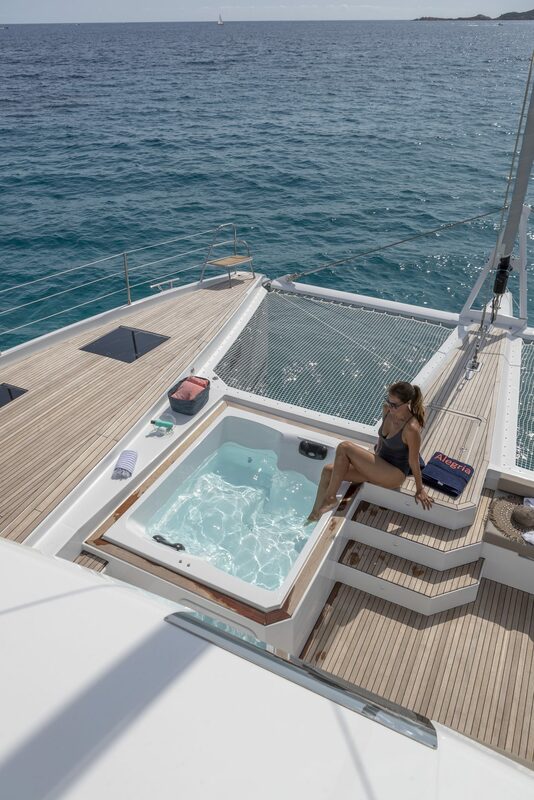 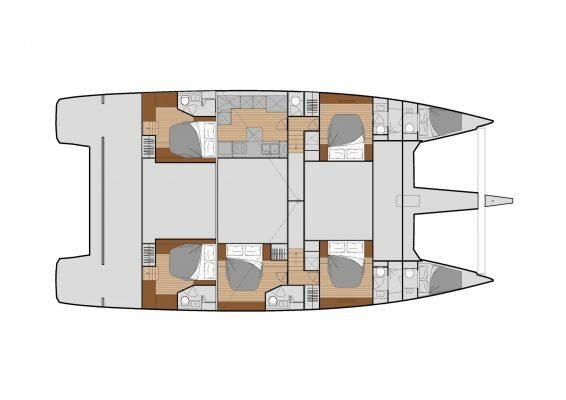 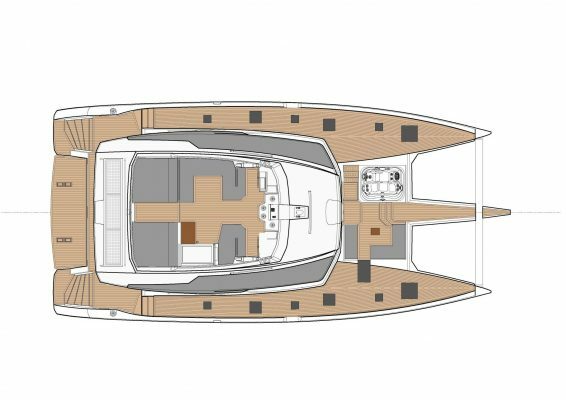 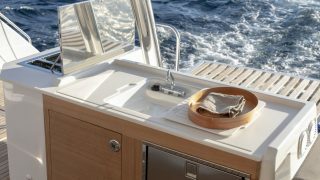 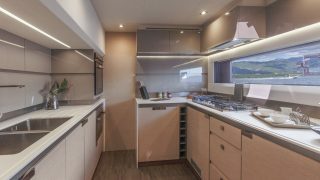 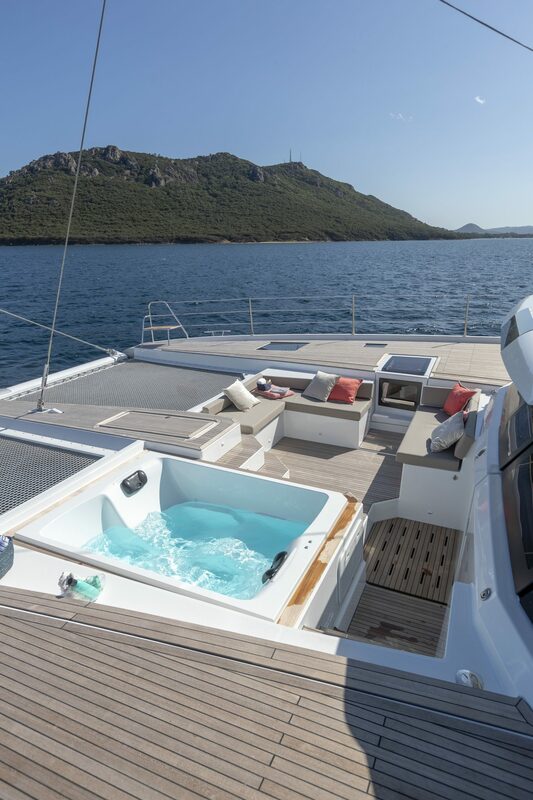 The charter version affords six double cabins (or five double plus one twin), each with their own private ensuites, and both the Maestro and Charter versions offer the option of the remarkable modern galley to be located on the main level or below deck for optimised saloon space. 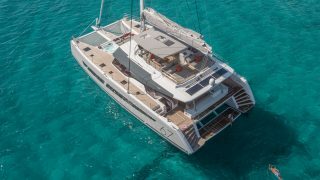 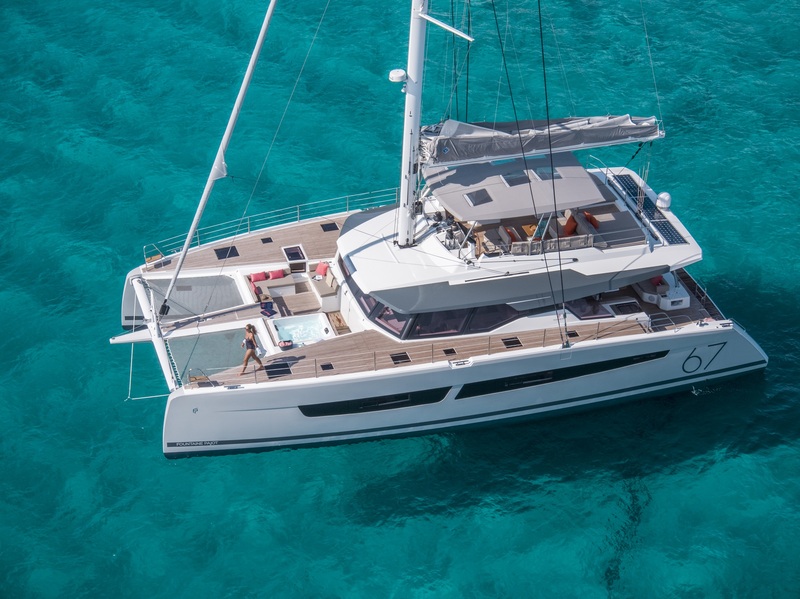 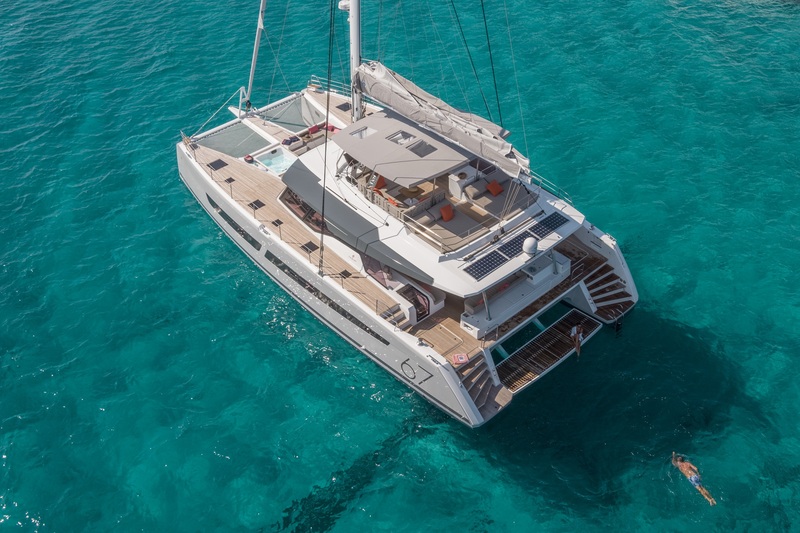 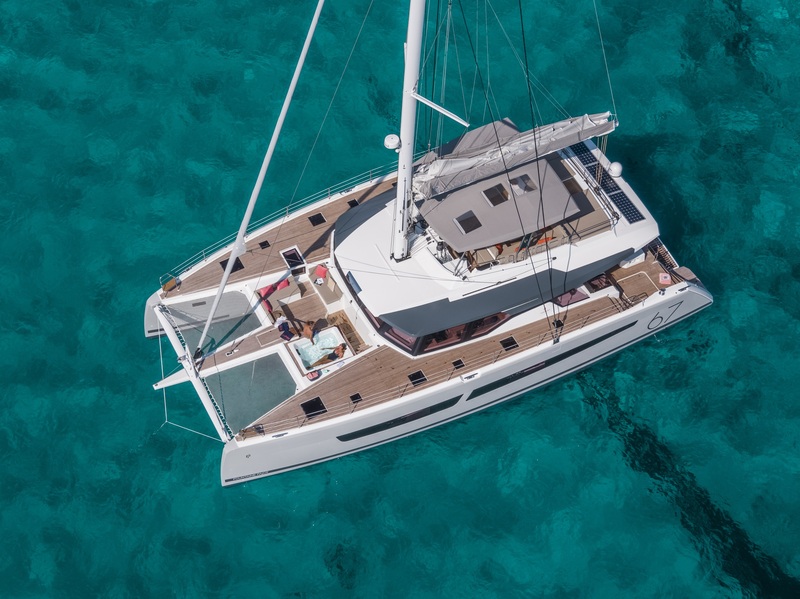 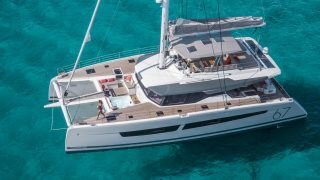 The Alegria 67 promises to continue Fountaine Pajot’s reputation for outstanding performance at sea, with maximum stability and superb balance for outstanding comfort underway and at anchor.